(Newser) – America's largest cancer center has declared an all-out $3 billion war on eight types of the disease. 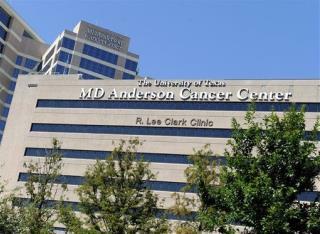 Houston's MD Anderson Cancer Center is calling the push the "Moon Shots Program," likening it to John F. Kennedy's 1962 declaration that America would make it to the moon before the end of the '60s, CNN reports. The center's doctors aim to dramatically cut deaths from lung cancer, prostate cancer, melanoma, breast and ovarian cancers, and three types of leukemia by improving treatments and finding cures. Back in my youth, It was being said "we'll have cancer cured in your lifetime." That was over 60 years ago. 100 years ago they were cutting people up to get at cancer. I just went through a deal with melanoma, and they cut the place out. So, for over a hundred years no change to cure cancer. All I hear about today is they need money to "treat" cancer, at far more the cost financally. What Happened to the "CURE CANCER"? I gave a lot of money to cancer research during my life and have also watched a few family and friends sircum to cancers of different types. I give no more money because I keep reading labels on different products...May Cause Cancer.... Why should I hope for a cure when this Mad Chemical Circle is going on? The mad scientist are wanting to re-write the human gene DNA...Whats up with that? What about a Cancer Cure?. Why aren't they working with Dr. Burzynski who practices in Texas? He has cured many patients who were declared near death's door from cancer!! !